As we motor through the seasons, tires are sometimes one of our forgotten car maintenance items. Think about it. When was the last time you checked the air pressure in your tires? Check your tire pressure once a month. It is a little known fact that tire pressure can vary dramatically in either extreme cold or hot weather conditions. The actual air pressure in your tires can change by 1 pound per square inch for every 10 degrees Fahrenheit change in outside air temperature. For example, the actual fluctuation in outside air temperature between summer and winter can sometimes vary more than 50 degrees. 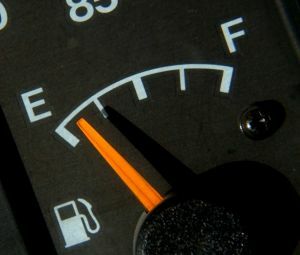 Going from the extreme heat of a hot summer day to a cold day in winter can result in a 5 psi decrease in tire pressure. Likewise, going from cold winter temperatures to driving in the heat of the summer could actually add 5 psi of air pressure to your tires. As you can see, tire pressures can vary quite a bit depending on the changes in outside air temperatures. Maintaining proper tire inflation pressure is vital to making sure you have good traction and handling throughout the year. 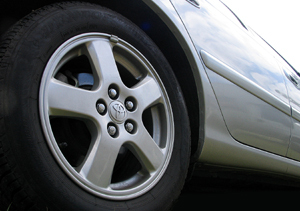 Another major benefit of maintaining proper tire pressure is the advantage of getting the most out of your tires. After all, keeping your tires rolling at the specified pressure will help you get the best wear out of a set of tires, which in turn will save you money in the long run. That in itself is probably the biggest reason why it makes good sense to get into the habit of checking your tire pressure at least once a month. You can find the correct tire inflation specifications for your car listed in your owner’s manual and also on a sticker located at the lower, inside section of your driver’s door. Tire inflation specifications will normally be designated in pound per square inch (psi). And it is not unusual to find the front tires and rear tires have different inflation specifications. This is common and it all depends on the make and model of your car. Always check your tires when they are cold. It is important to remember that your tires should always be checked when the tires are cold. What this means is that you should simply check your tire pressure before the car has been driven that day. That is when the temperature of the air inside your tires is relatively equal to the temperature outside your tires. 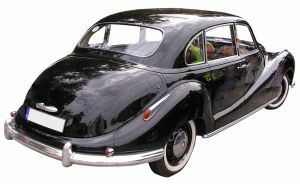 Doing it this way will insure that the air inside your tires is just about equal to the temperature of the outside air. That is the only sure way to make certain that you are getting a true reading of your exact tire inflation pressure. Just one additional thought. In case you are planning a road trip and you are thinking about raising the air pressure in your tires above the specifications before you go, don’t do it. Thanks to those fancy tire sensors that now come with many of today’s new cars, I found out on a recent road trip that tire inflation pressure can actually increase quite a bit, even in cold winter temperatures. Here is what I discovered. As the tires began to heat up after driving a few hours at highway speeds, the tire pressure as it was indicated on the dash information display, clearly showed that the actual pressure in each tire had gradually increased from 30 psi to 35 psi. That is an increase of 5 psi after only a few hours of highway driving. Considering that the outside air temperature on that November day was around 40 degrees, you can only imagine the increase in tire pressure your tires would experience during a road trip in the extreme heat of the summer. Plan ahead. Buy yourself a new tire pressure gage and check your tire pressure at least once a month. Rotate your tires and save money. Okay, so it’s not very convenient to have your tires rotated every 5,000 or 10,000 miles. The simple truth is, in the long run you will save money and gain the most out of the tread life of your tires. Whether you rotate your tires according to mileage or once a year, either way you will benefit from this necessary routine car maintenance. Think about it this way. 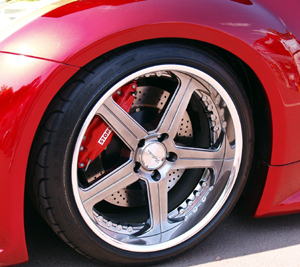 Your front tires wear differently and more quickly compared to your rear tires. After all, your front tires are responsible for the steering and also the majority of vehicle braking, while the rear tires are basically just following behind in a relatively straight line. It makes sense to even out this wear by simply switching them around every once in a while. If it’s been a while since your last tire rotation, put it on your things to do list. And the best news of all is that your local tire dealer may actually already offer rotation as a free service. Look for a few more routine car maintenance tips you can do yourself in next month’s issue.